10X10 (ten by ten) highlights inspiring stories told by the creative, talented, and diverse people around Tampa Bay. People like you! What’s 10X10? It’s kind of like a TED Talk, but faster and with more pictures (ten of them, get it?) As speakers tell their stories, they’ll show compelling images — that will advance automatically every 30 seconds — keeping speakers (and audience) on their toes. Topics come from a variety of interesting localebrities making things happen around Tampa Bay — eclectic, but always upbeat and entertaining. Your $10 ticket (Imagine Museum members are free) includes museum entrance, light bites, and a cash bar. RSVP required. 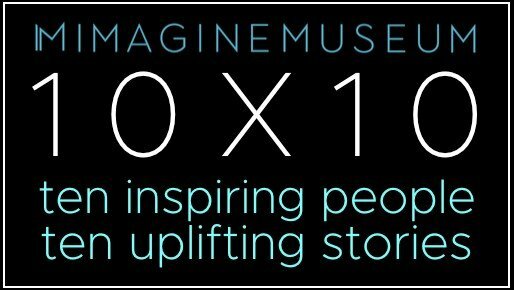 10X10 bridges communities, shares new ideas, and shows us that we all have inspiring, uplifting stories to share.